A stir-fry is a quick, balanced and flavourful dish that’s enjoyed all over the world. The technique originated in China, where ingredients were quickly fried in hot oil and stirred constantly to help seal in the flavours. Go classic with Sally Abé’s easy Chow mein or Karen Burns-Booth’s Low-calorie Singapore noodles, which transform takeaway favourites into healthier homemade dinners. 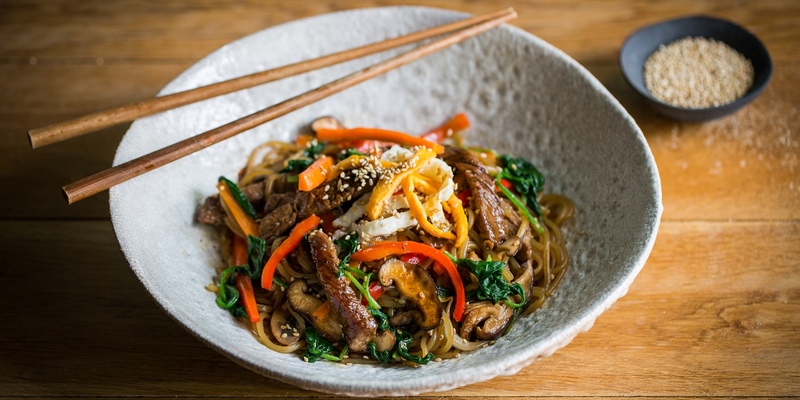 Explore the cuisine of Korea with Louise Robinson’s Japchae, or head to Vietnam with this delicious seafood and cucumber stir-fry for a refreshing, spicy supper. If you’re looking to impress, then get your hands on some crab for Andy Waters’ Stir-fried crab claws with spring onion, chilli and garlic. The beauty of stir-fries is you can often use whatever you have in your fridge – the combination of different vegetables and proteins is what makes it such a popular dish, so don’t be afraid to experiment or substitute ingredients for something you have to hand.